Just in time for the Oscars, The 99 Cent Chef throws his whisk into the competition for Best Short Film with his latest video. Set in Joshua Tree, California, my video showcases epic desert scenery, a 127 Hours movie spoof and an Oscar-worthy special effects scene featuring a flying breakfast burrito! The Chef and his missus took the hour-and-a-half drive to Joshua Tree to ring in the 2011 New Year. 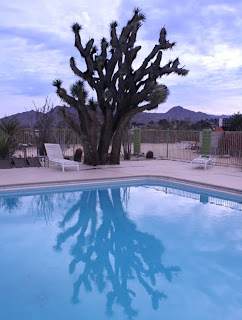 Joshua Tree is a mystical place were outsiders go to commune with nature. It's a small desert town with a big spirit. 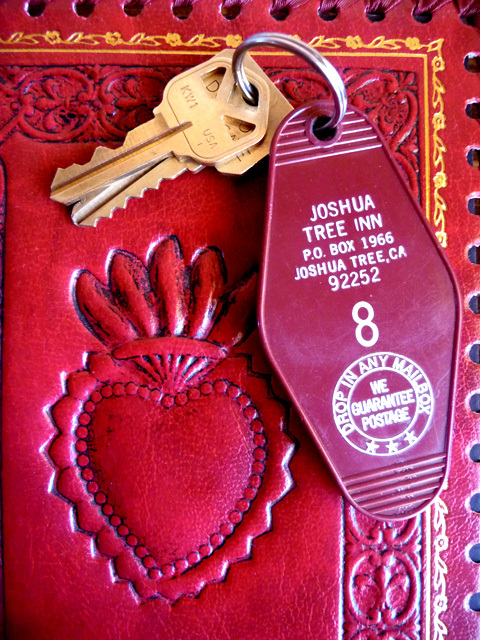 We stayed in room 8 of the storied Joshua Tree Inn, notoriously known as the room where cosmic cowboy and alt-rock musician Gram Parsons OD'd. 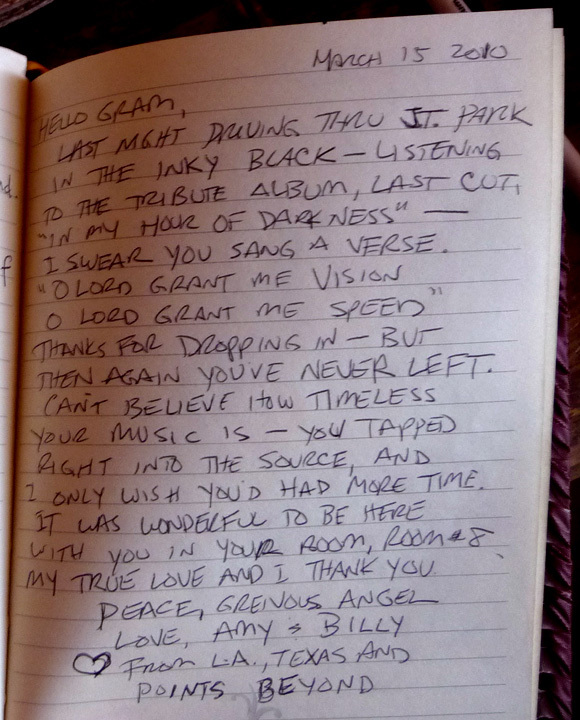 If you have never heard of Gram, you have certainly heard his influence all over the radio. In the 1960's he combined country and rock into an intoxicating moonshine mix that many musicians, including The Rolling Stones, Eagles, Lucinda Williams and Ryan Adams drink from. He has an international following, and the hotel room has a guest book to leave a personal message. If you stay there as we have, be hospitable when other guests ask to see the posters and other memorabilia, including an inscribed Tanya Tucker trucker hat! 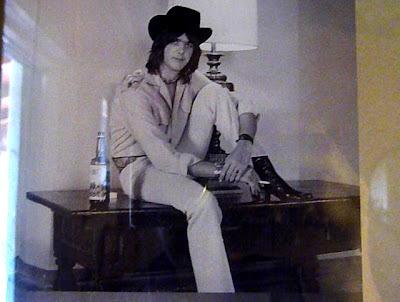 Gram Parsons was a member of the Byrds and the The Flying Burrito Brothers. Just click here to see Wikipedia bio. He checked out forever at 26, but his influence lives on. 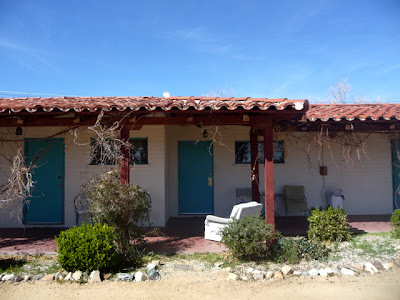 Hit the play button below for a video of Gram Parsons in action. Flying Burrito Brothers Video - Gram is on the left. 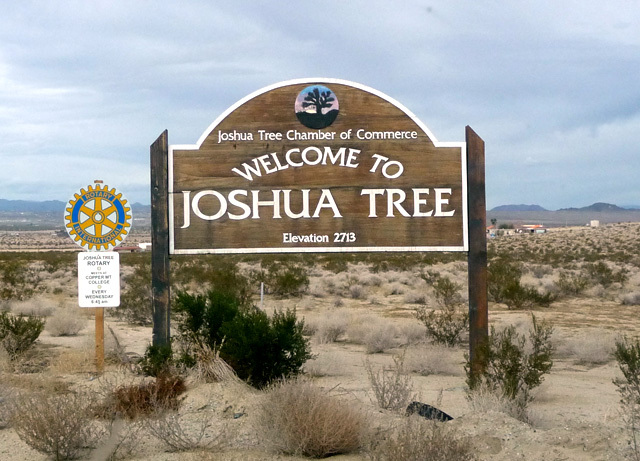 Many locals and out-of-towners go to Joshua Tree National Park on New Years Eve night and perch on a boulder to take in the wide starry sky. This year it was bitterly cold, so after taking in a concert by country-rock band I See Hawks In L.A. at the venerable Pappy & Harriet's roadhouse (free admission and $2 beer), we holed up in Room 8 and toasted the New Year with tequila, wine, salami, and cheese while serenading and shaking maracas and tambourine, as a friend strummed her guitar. 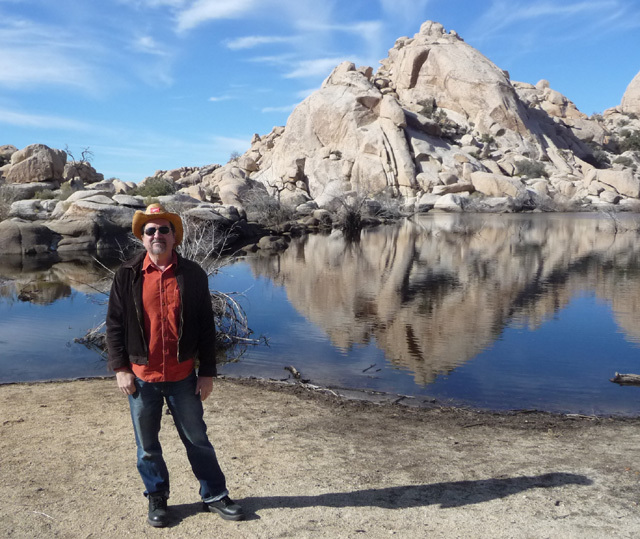 The next day we went exploring in Joshua Tree National Park. The majestic Joshua trees are twisted exclamation points strewn throughout the landscape, while all manner of rocks and boulders create wild structures calling out to be climbed. 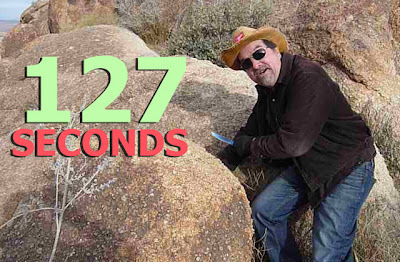 And explore we did, as you will see in my 127 Hours movie spoof (official movie trailer here.) While it took the main character 127 hours to get out of his scrape, it takes The 99 Cent Chef only 127 seconds! After all, I have hacked many a whole chicken. But you are more likely to guffaw than faint - this is nowhere near as grisly as the movie. 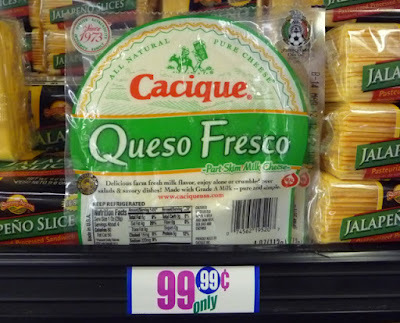 And you know what a cut-up The 99 Cent Chef is! 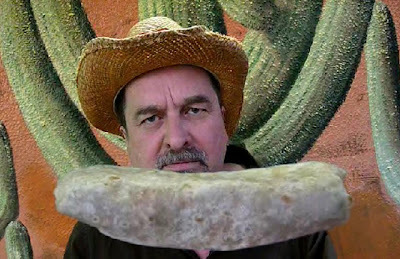 And finally, break bread with The Chef as he tries to dine on a Flying Breakfast Burrito! This isn't easy eating, but it's worth every hard-earned tasty bite. Play it here. The video runs 5 minutes, 7 seconds. And click on red type for links. Click here to link or embed from Youtube. How cute is too cute? Just watch The Chef's adorable video to find out! My neighbors Bob and Lori have a recent addition to their family and her name is Lola. In my newest video series, I will track her First Bites. Almost a year old, Lola is getting her baby teeth in and she is ready to chow down! I plan on filming her first culinary experiences. First up are red potatoes, avocado and organic plain yogurt. 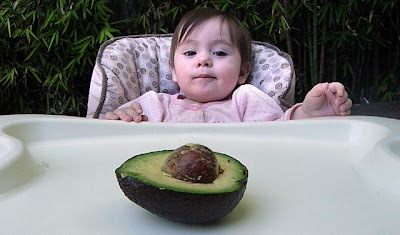 I've never seen so many reactions to a simple bite of bland boiled red potato, or realized the difficulty in eating slippery sliced avocado. And be sure to hang around to watch the funny expressions when Lola reacts to a healthy taste of plain, but sour, yogurt. 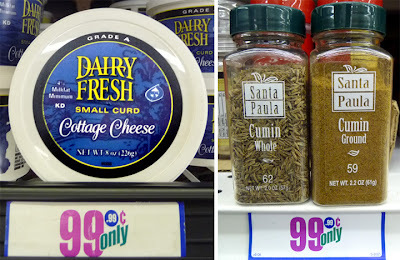 Now I can't say the food items were bought at our local dollar store, but I've easily found all three for less than a dollar each or per pound. I've put Lori and Bob on notice to contact me when peanut butter, lemons and spaghetti are on her menu for the first time. 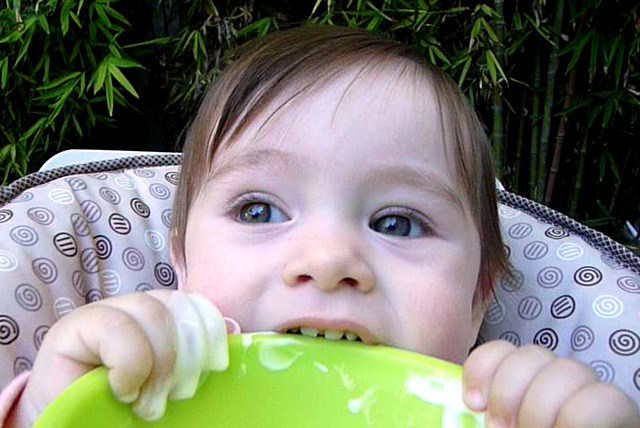 You'll not see a cuter video anytime soon -- until my next Lola's First Bite video! So do check back. Play it here. The video runs 2 minutes, 9 seconds. 99 thanks to Lori, Bob & Lola. More Lola! First Bite 2.0 & First Bite 3.0 (1st Birthday Party) - just click on a name to see them! I like canned beets. And this violet vegetable pairs perfectly with bottled sweet tangerine slices. 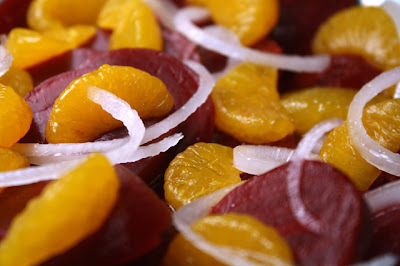 My Beet & Tangerine Salad is another 99 Cent Chef classic pantry recipe. I always have whole, sliced or juilenned beets in my pantry to add color and a meaty heft to any salad (see my 2 Minute Salad video recipe featuring beets, click here). Canned is not as complex in flavor -- I miss the crunch and slight horseradish heat from farmers market fresh (baked fresh beet recipe is here). I also added a few thin slices of onion to my Beet & Tangerine Salad for that missing crunch and heat. And the tiny tangerine slices from a can or bottle look so cool and cute -- they add a delicate citrus sweetness to any salad. 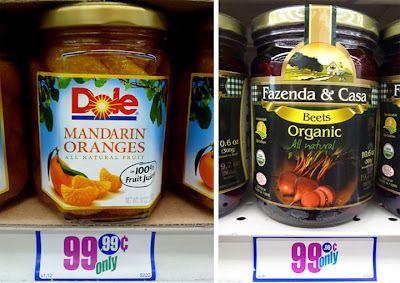 Canned beets and tangerines are always carried in my local 99c only Stores. A simply cheap marinade of tangerine juice, oil and vinegar completes the recipe. The 99 Cent Chef's Beet & Tangerine Salad is easily assembled as a colorful last-minute party salad; or store it in your office cubicle for a light midday lunch break. 1 can sliced beets - 15 ounce, drained. Okay to use whole or julienned beets. 1 small jar tangerines - about 8 ounces. Reserve juice from jar (or can). 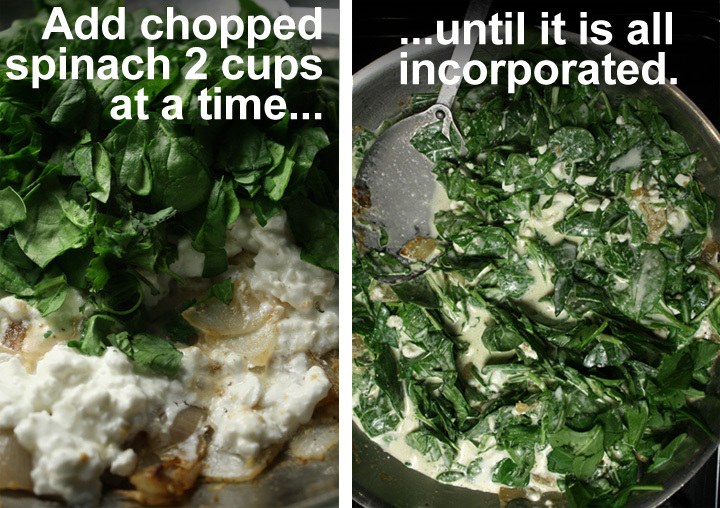 3 thin slices of onion - optional. 2 tablespoons olive oil - or any vegetable oil. 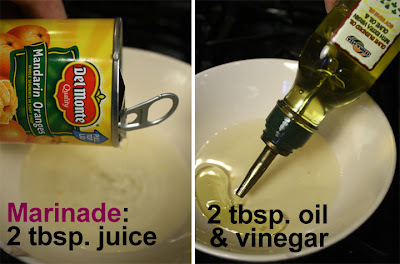 2 tablespoons of vinegar - any type, I used white vinegar. 2 tablespoons of juice from canned (or bottled) tangerines. Drain beets and add to a serving bowl or plate. Drain tangerines and reserve a few tablespoons of juice. 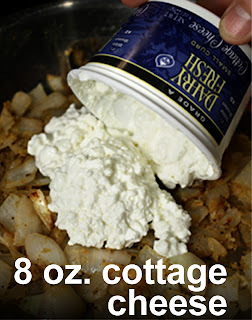 Thinly slice some onion. Mix veggies and fruit together. To keep the salad sweeter, it's okay to leave out onions. 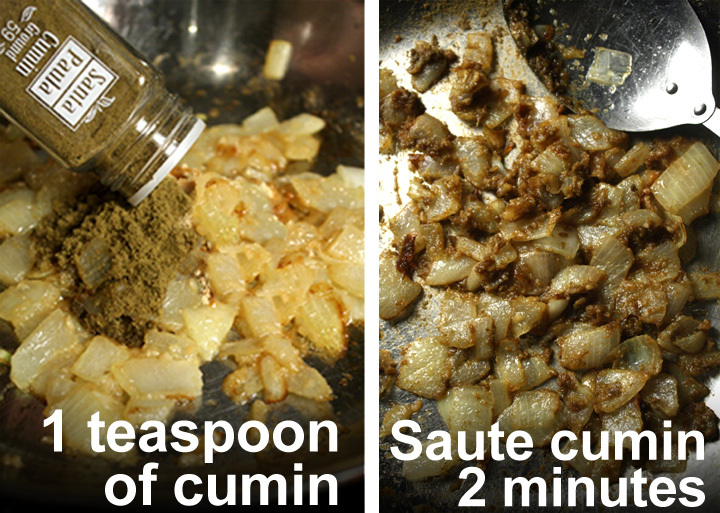 Whisk Marinade ingredients together for a minute. 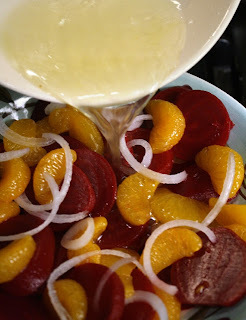 Drizzle over Beet and Tangerine Salad. Okay to serve chilled or at room temperature. No cooking, but some assembly is required, for The Chef's latest recipe. This can-opener cuisine is perfect for cleaning out your pantry. 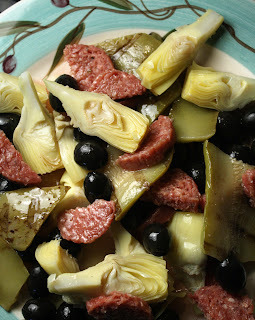 My Italian Antipasto Salad uses canned, bottled, marinated and precooked veggies. All that this dollar store shelved produce needs is a sweet and tart vinaigrette to pull it all together. I've had it from my local deli as a mixed salad, or colorfully separated and artfully laid out on a party tray. 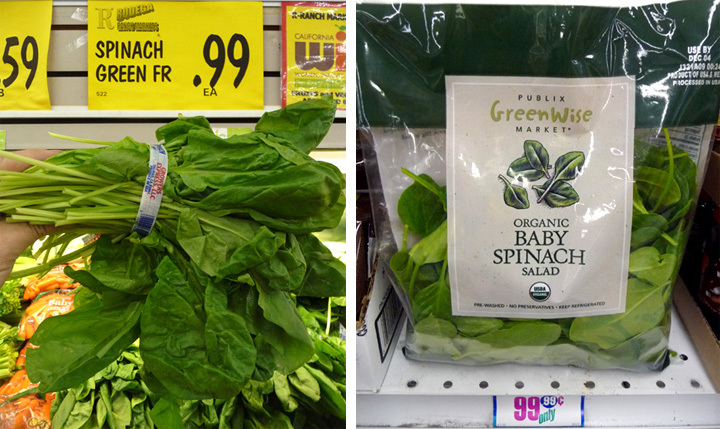 For more crunch, you can also throw in raw sliced red onion and tomato, and serve it on a few leaves of lettuce. When I run across bottled eggplant or zucchini in olive oil, on sale at my local 99c only Store, I always grab a couple of jars. Artichoke hearts are usually canned in water, but I've also brought it home bottled in an herb-infused vinegar. 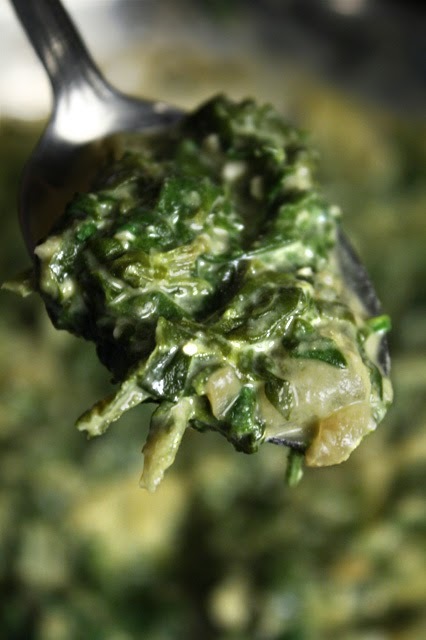 A simple vinaigrette of olive oil, sugar and red wine vinegar completes the recipe. Save the bottled marinade if it is olive oil or vinegar. 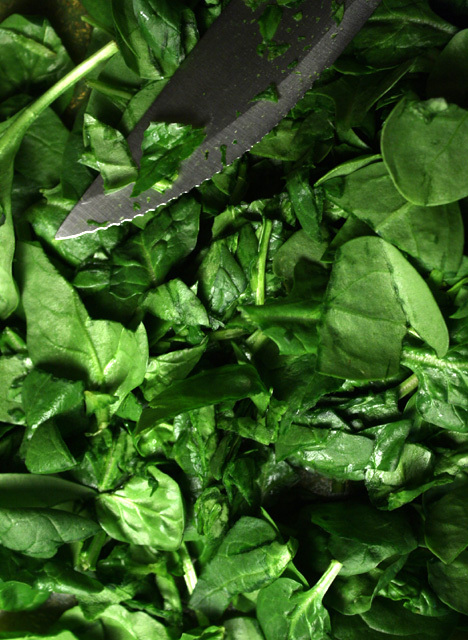 This can be the base of your vinaigrette -- plus it's free! This Italian Antipasto Salad would go perfectly with my Spaghetti alla Carbonara with Bacon Bits; or at your next party, lay it out on a platter with toothpicks as an appetizer. 1 can of artichoke hearts - about 14 ounces. 1 can of black olives - drained. Or any favorite olives, including green. 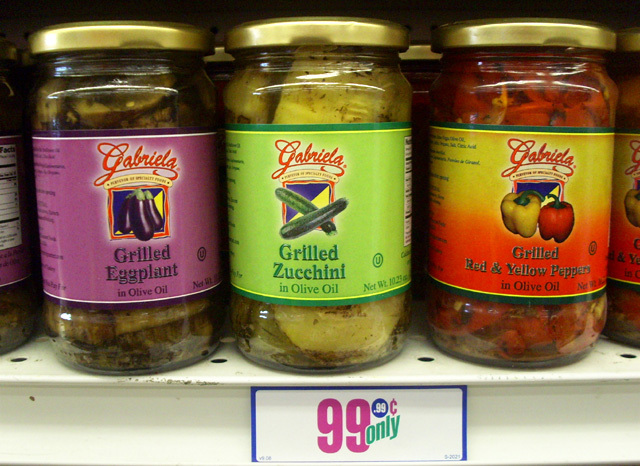 1 - 2 jars of marinated veggies - including zucchini, eggplant, mushrooms, bell peppers, asparagus, etc. 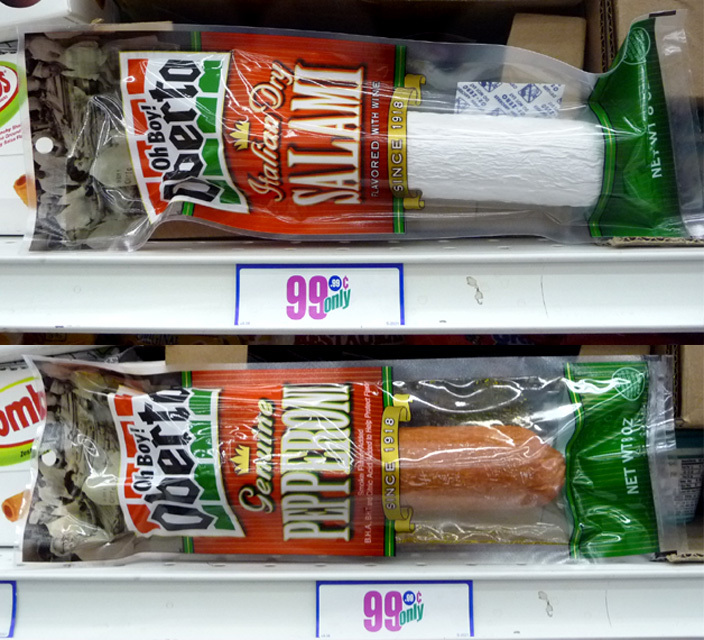 4 to 8 ounces of sliced or whole salami - optional. Or any favorite deli meat. Slice into bite sized pieces. 1/4 cup red wine vinegar - okay to use any vinegar you have on hand, or any vinegar marinade from your bottled veggies. 1/4 cup of olive oil - or oil from any jarred veggies. 1/2 teaspoon of sugar - or sugar substitute. Add a little at a time to taste. Pepper to taste - optional. I find that canned or jarred veggies have plenty of salt. Drain bottled and canned veggies of water, marinade and olive oil -- reserve olive oil and vinaigrette. 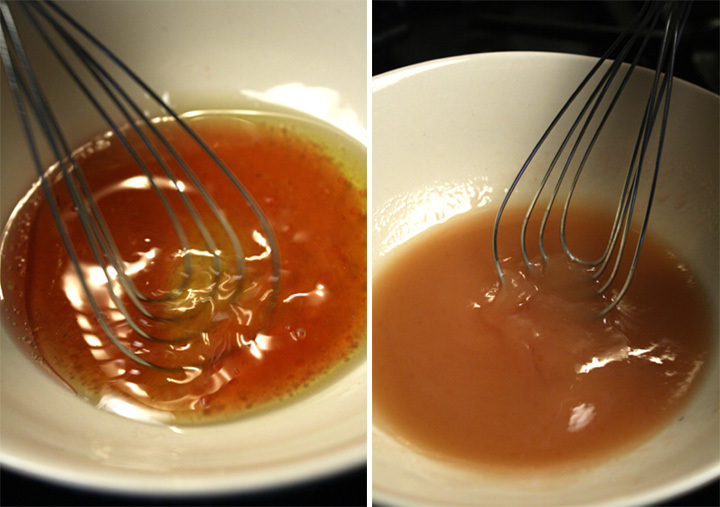 Mix 1/4 cup each of red wine vinegar (or reserved vinaigrette) and olive oil (or reserved oil). Whisk together. Add a little sugar (I used 1/2 pack of Sweet 'N Low) and black pepper to taste. 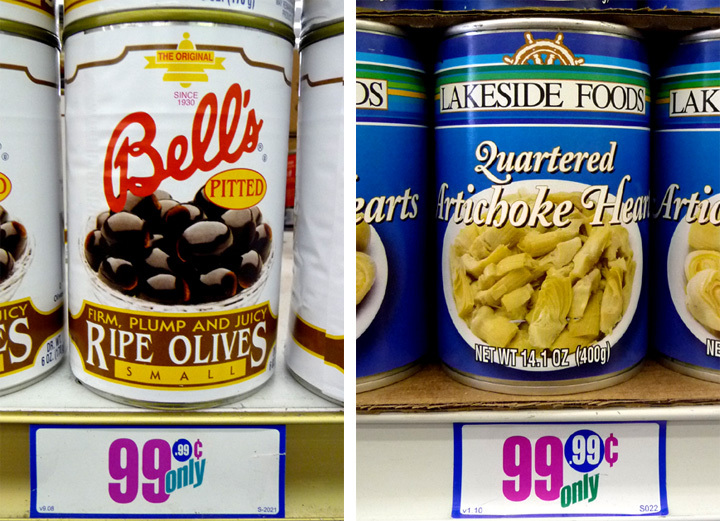 No salt needed as I find canned and jarred veggies have plenty. Whisk again just before you pour it over the Antipasto Salad. 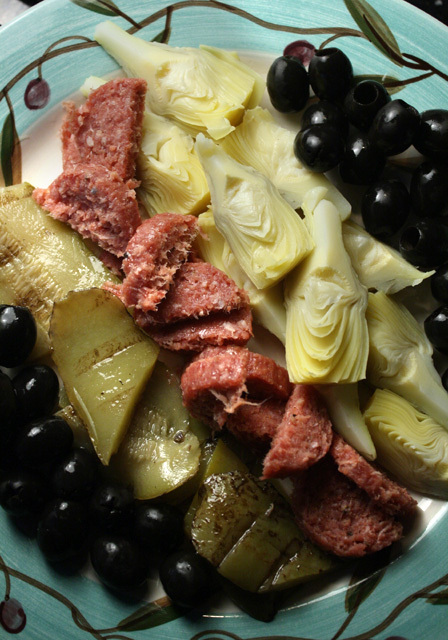 You can just mix all the drained veggies and salami together in a large bowl, or lay it out on a party platter with tooth picks. Whisk marinade just before serving and mix it into salad, or drizzle it over the party tray. Okay to serve cold or at room temperature. 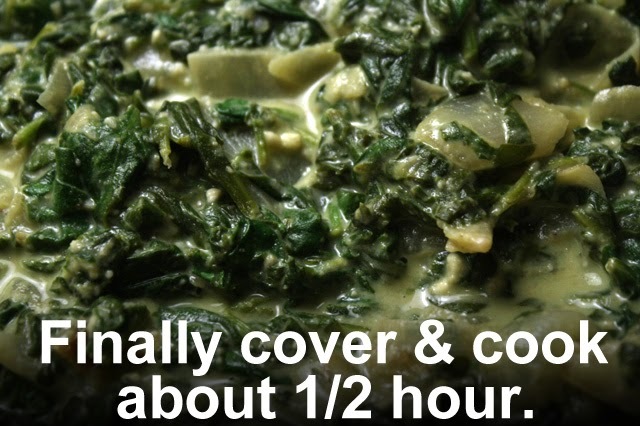 Keep refrigerated if you are not serving for half hour or more. Nix the salami for a vegetarian version. And for more fresh crunch, mix sliced red onion, tomato, or any raw veggie you have on hand into my Antipasto Salad. You can also serve on lettuce leaves.